Michael Gershon was President George W. Bush’s speechwriter for the first 6.5 years of his administration. One of the most famous lines he wrote was “the soft bigotry of low expectations.” Some people thought that it was a bit harsh in that President Bush was saying that in some ways we’re putting more emphasis on compensating disadvantaged minorities by focusing on what obstacles they are up against rather than raising them up with higher expectations. Bush believed that we kept people down because we didn’t believe they could rise up. 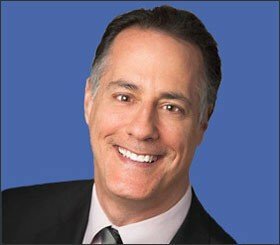 I think most people would agree from their own experience that when parents and bosses have high, but fair expectations of you and have systems and processes to hold you accountable, you tend to do better than working under those that have lower expectations and are light on accountability. Sometimes people believing in ourselves more than we do can do wonders in terms of helping us accomplish more than we thought was possible. Is there any research to back this up? As a matter of fact, there is. I recently read a fascinating study about kids born in the Year of the Dragon in China. In Can Superstition Create a Self-Fulfilling Prophecy the researchers wanted to test whether this was the case for kids born in the Year of the Dragon. The Chinese believe that people born in the Year of the Dragon are going to be more successful than those of the other zodiacs. They are perceived “to be superior, powerful and destined for good fortune.” Given this belief, couples make an effort in China to have kids born in Dragon years, or at least this is one of their hypotheses. I’m sure most of us have some superstitions that irrationally affect our behavior if we think long and hard about it. For our own psychological survival, we often resort to choosing desirability over accuracy because the pain of confronting that we might be wrong and what we have believed in may be false can be too painful and difficult to deal with such that we choose to ignore truth and accuracy to protect ourselves. From the Chinese perspective, given this deeply held superstition, the researchers wanted to determine if couples changed their behavior to have kids in Dragon years and if these kids outperformed other Chinese children born in non-Dragon years from an educational standpoint. There is clear evidence that Chinese couples want to have kids in Dragon years as the researchers found that marriage rates increase two years prior to the Year of the Dragon as couples prepare themselves to bring their one child into the world during a Dragon year. As an aside, the one zodiac year parents try to avoid having kids in is the Year of the Sheep. The birth rates are also higher as the following chart shows. 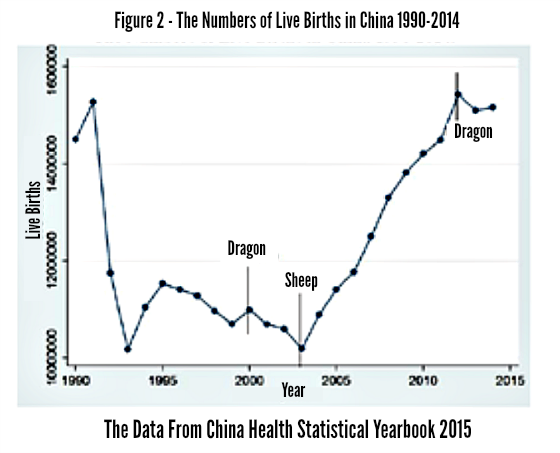 During the last two Dragon years, there was a noticeable increase in births. So how do these children perform? One would think that they may be more challenged given the competition is greater due to larger numbers of their cohort and teacher focus on them being more challenging given the higher student to teacher ratio. It turns out this is not the case as these kids produce better test scores and graduate from universities at a higher rate than non-Dragon kids. Were these kids more advantaged than the other ones? No. On average, they did not come from higher income or better-educated homes. Did they have more self-esteem? This was no different either. So what was the cause of their success? Parental expectations. The last two difference one may argue can cause more long-term harm than good but the study did not focus on maturity, self-reliance, or overall well being, just educational outcomes. So don’t be afraid to have high expectations for your children and for those who work for you or for yourself for that matter. And if you do, make sure you are fully invested in them (and yourself) in order to help them rise up beyond their own self-imposed limitations and to keep them on track by setting up systems and standards of accountability. Forget about being a Tiger Mom. Strive to become a Dragon Parent or Boss! Do you have high expectations for your children, for your staff and for yourself? ‹ How Could The New Tax Laws Impact Housing?